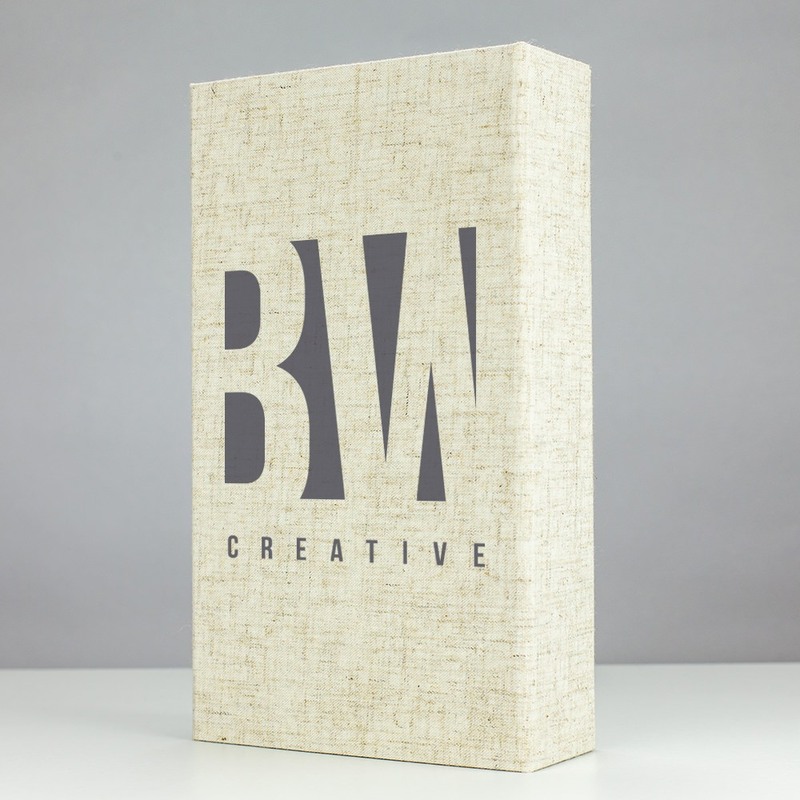 There’s no point to a presentation box if it’s not presentable! 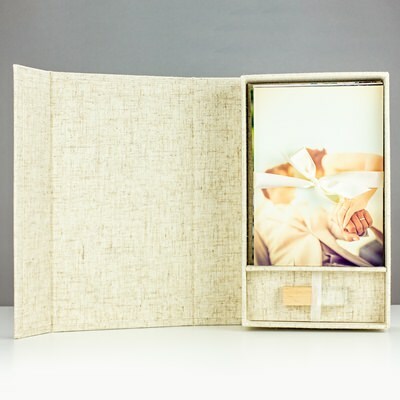 That’s not a problem with the Infinity photo and wedding USB box, a slice of contemporary fashion meeting function. This option offers both photo (5 x 7) and flash drive storage in a stylish accordion style container that is great for display or pulling out on a rainy day. The Infinity looks at home with most decorative styles but is especially coveted by brides with an eye for contemporary and fresh looks. 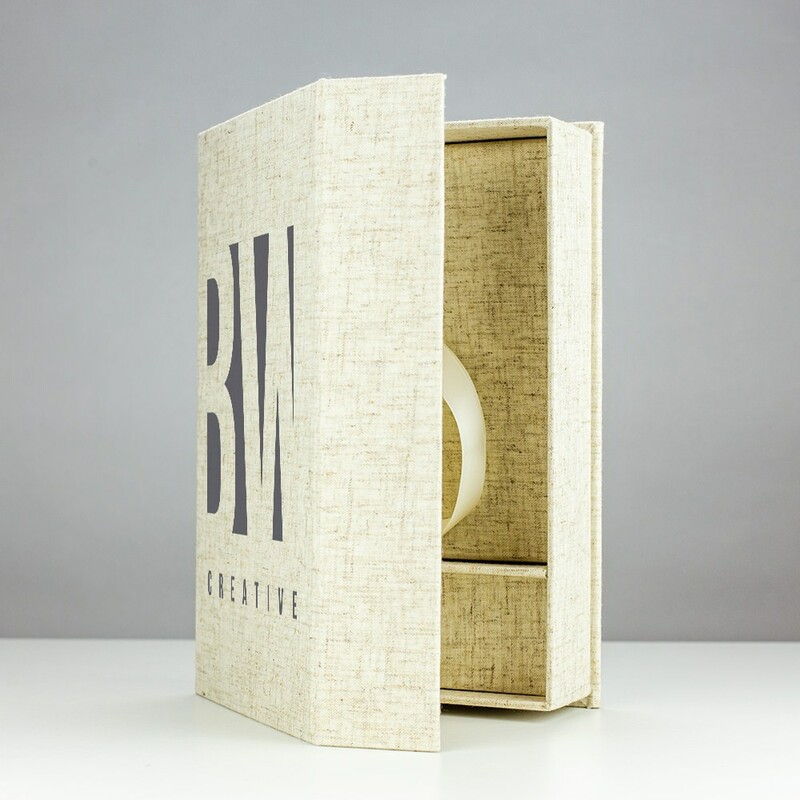 It is wrapped in light linen inside and out. 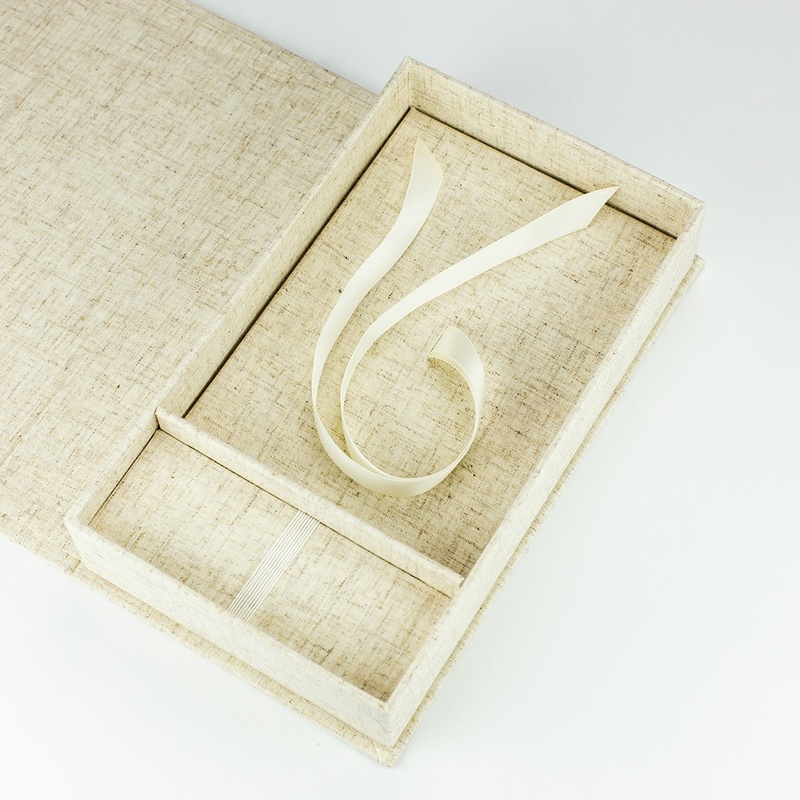 This box can store up to 150 4 x 6 photos (depending on paper thickness) and is secured by a matching cotton ribbon to tie them in place. For storing 100 photos or less, use the included photo riser. A separate compartment snuggly holds the drive with a matching elastic band. 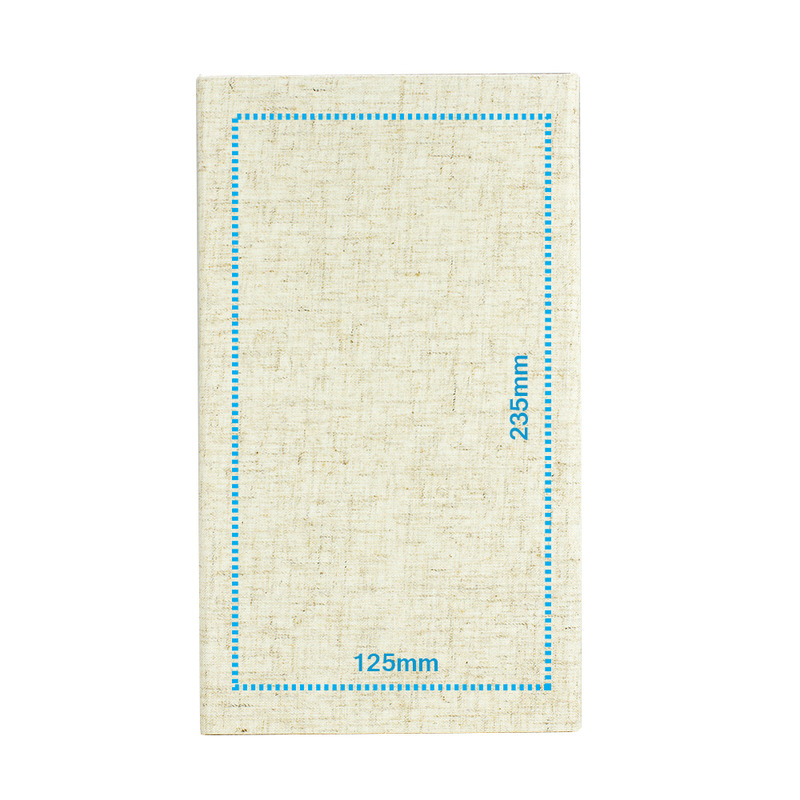 The cover folds over to a magnetic closure, ensuring against spillage.